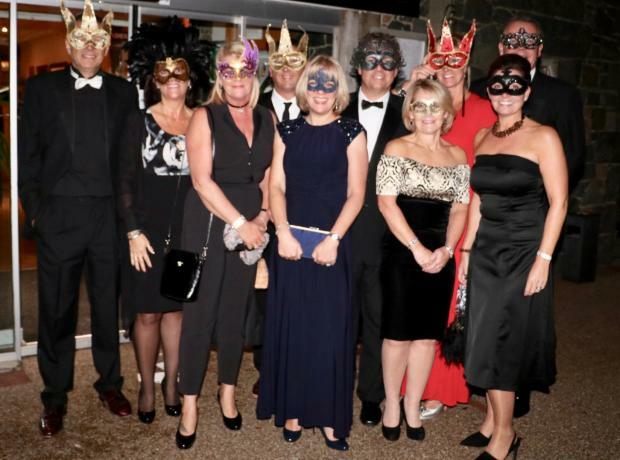 On Saturday night the GSPCA held a Masquerade Ball at the Farmhouse with over 100 guests. The evening was supported by the Farmhouse and Save the Date and the GSPCA are hugely grateful to all involved and supported what was an amazing evening. As guests arrived Peter and Suzy Rose were on hand at the front of the Farmhouse to take group pictures of the great looking guests. Guests then received a welcome drink and were entertained by Lydia Pugh singing whilst playing the keyboard and card tricks were performed by her partner Michael Sullivan.